Citizen Soldiers tells the story of the battles leading up to Germany's surrender through first hand accounts of the men who fought them. It begins on June 7, 1944 (D-Day plus 1), and in many ways is a sequel to Ambrose's book, D-Day. Citizen Soldiers pays homage to the soldiers, junior officers and NCOs who landed on D-day or followed as replacements. The direct quotes and real-life experiences allow students to learn about the war through varied, personal perspectives. While not bogged down in strategic detail, it provides the overall mission of the Allies and how it was accomplished by the men and women on land, at sea and in the air. 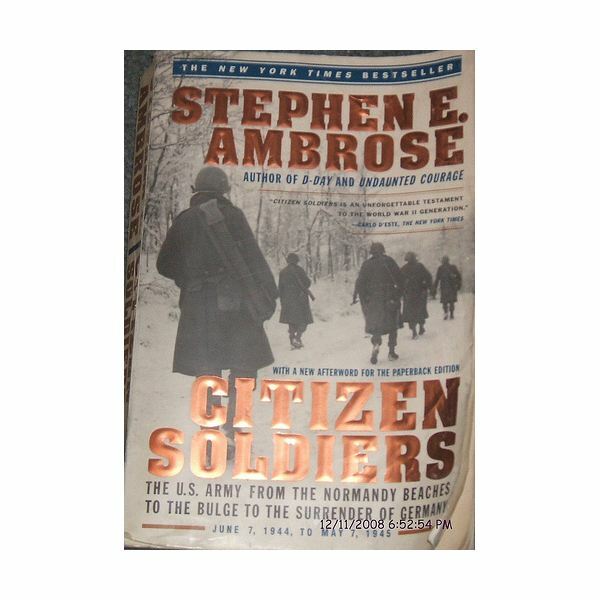 The study guide below covers the Prologue, as well as Chapters 1 and 2 in the 1998 paperback edition of Citizen Soldiers published by Simon & Schuster. The chapter summary questions for Citizen Soldiers can be used alone to develop better understanding while reading the book, as a World War II study guide, or in conjunction with the World War II lesson plan, Who Stands behind a Dud? which may be found in Bright Hub's K-12 Channel. As a World War II study guide, this article provides several ideas to think about while reading Ambrose's novel. Did the German reinforcement effort differ from the Allies' effort? Which side had more success at limiting the number of reinforcement troops brought in by the other side? How so? Why were the V-1s viewed as weapons of terror? In your opinion, how does inflicting terror strengthen the perpetrators of the fear, if at all? Who were Eisenhower, Montgomery, and Rommel? Hedgerow – Mounds of earth that divided property and kept livestock in. Overgrown with trees, there was typically only one entrance into a field enclosed by hedgerows. ETO – European Theater of Operations. (CAS) – Close air support. Luftwaffe – German air force. Wehrmacht – German armed forces. The word means defense forces. Fallschirmjäger – German paratroopers; they were mostly young, German volunteers. Initiative was prized in this well-equipped outfit. V-1 – A pilotless German bomber put into action about a week after D-Day. 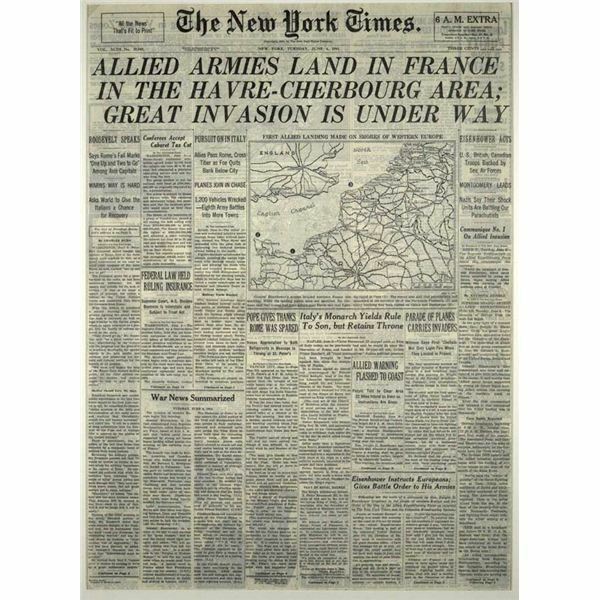 D-Day – June 6, 1944.